FOX Sports received 25 Sports Emmy Award nominations for its outstanding programming and live-event coverage across FOX, FS1 and FOXSports.com. FOX Sports’ nominees include a wide range of live events, studio shows and original programming. The 2018 FIFA World Cup on FOX leads the pack with five total nominations, recognizing the tremendous efforts from last summer’s tournament in Russia, while MLB on FOX: The Postseason follows up on its back-to-back wins with yet another nomination. SHOT IN THE DARK, from FOX Sports Films’ MAGNIFY series, reinforces the network’s dedication to leveraging sports as a lens for examining important cultural stories with its nomination in the category of long sports documentary. 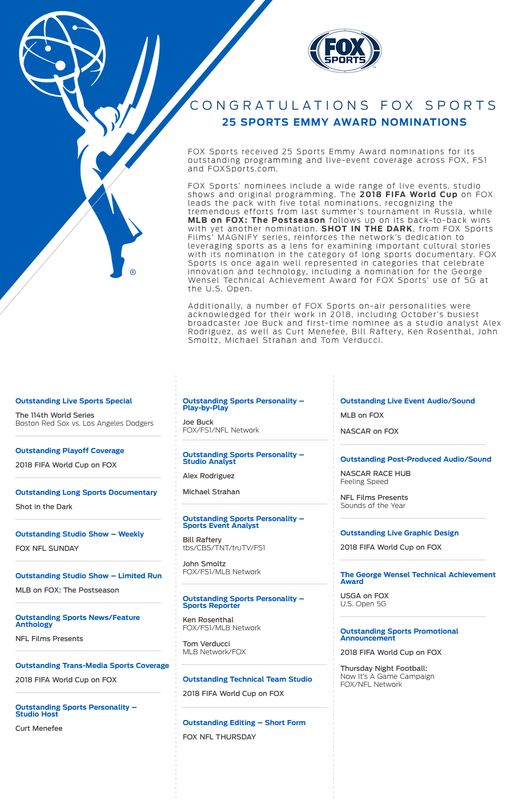 FOX Sports is once again well represented in categories that celebrate innovation and technology, including a nomination for the George Wensel Technical Achievement Award for FOX Sports’ use of 5G at the U.S. Open. 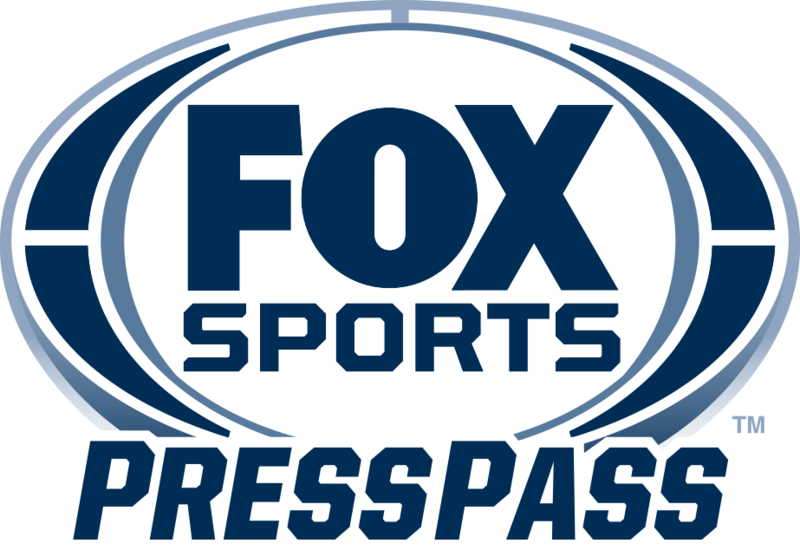 Additionally, a number of FOX Sports on-air personalities were acknowledged for their work in 2018, including October’s busiest broadcaster Joe Buck and first-time nominee as a studio analyst Alex Rodriguez, as well as Curt Menefee, Bill Raftery, Ken Rosenthal, John Smoltz, Michael Strahan and Tom Verducci. FOX Sports’ full list of nominees can be found HERE.